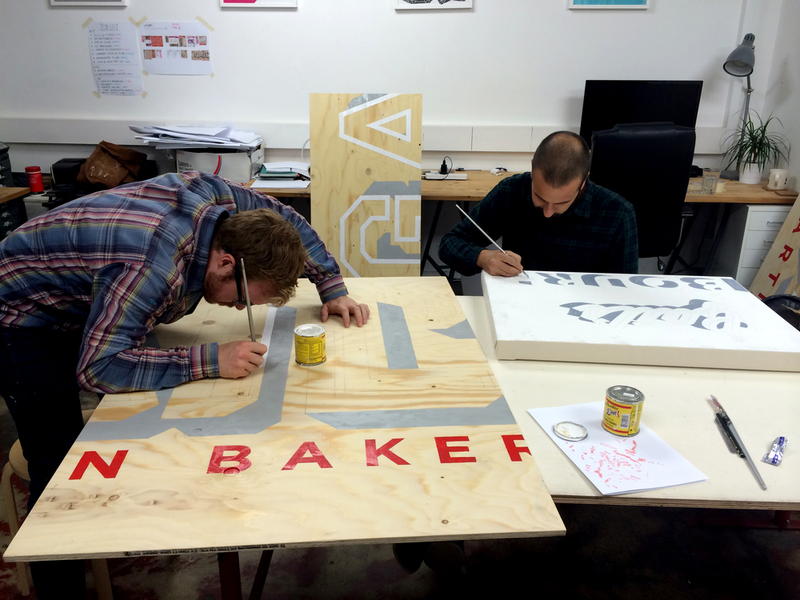 We had our work cut out painting signs for Gail's Bakery to use in their 3 cafe/restaurant spaces at Frieze Art Fair. 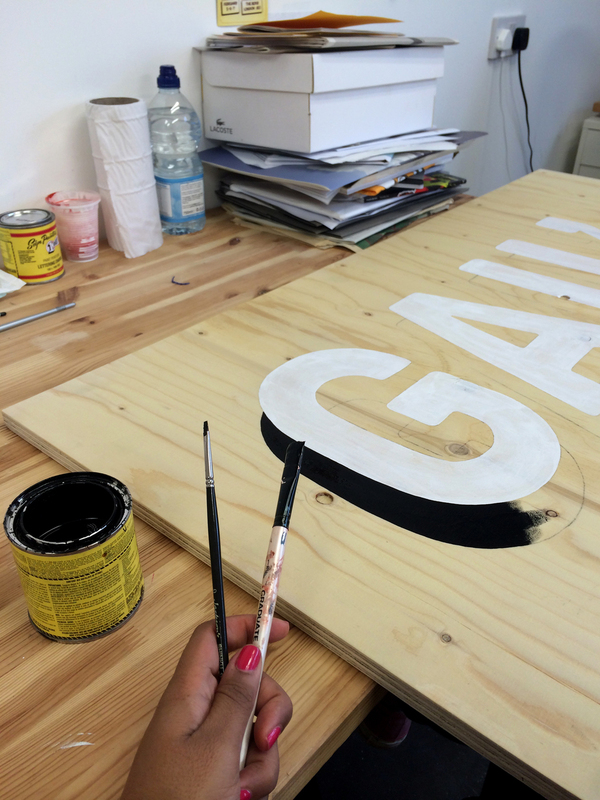 We used a range of different typefaces and finishes to create a unique identity for each space. It was touch and go but we got it done and they looked great once installed and surrounded by the plethora of delicious morsels that Gail's had on offer. The art wasn't bad either!